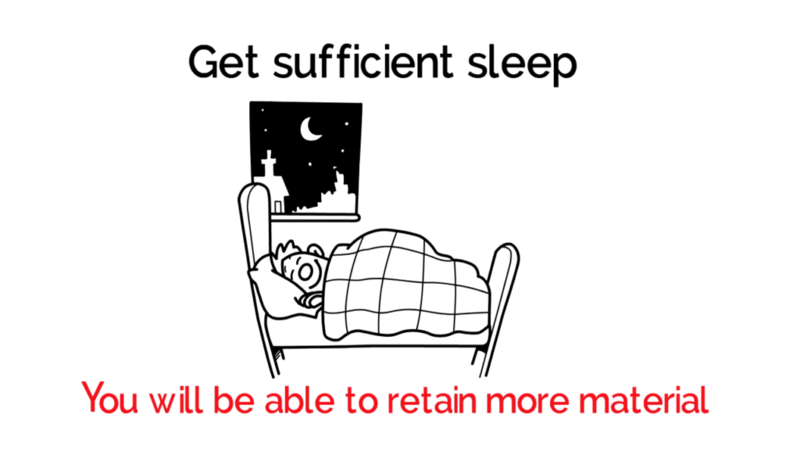 If you get enough sleep, you will be able to retain more material but, more importantly, if you are well rested, you will be able to concentrate better while studying, which is key to absorbing and retaining the material initially. Also, follow the same sleep schedule daily, which will keep you energized. Set a consistent bedtime and wake-up schedule. Set your wake up time to the time that you will need to wake up for the actual bar exam, so you are completely fresh to start the big day and avoid shocking your body the day of the exam.